We’ve made it! We’re finally on our fifth and final burger of Whole Foods Market’s Burger Bash! We’re going to get a little messy with this one! The final pre-seasoned burger we received to play around with was Whole Food’s Cowboy Burger. 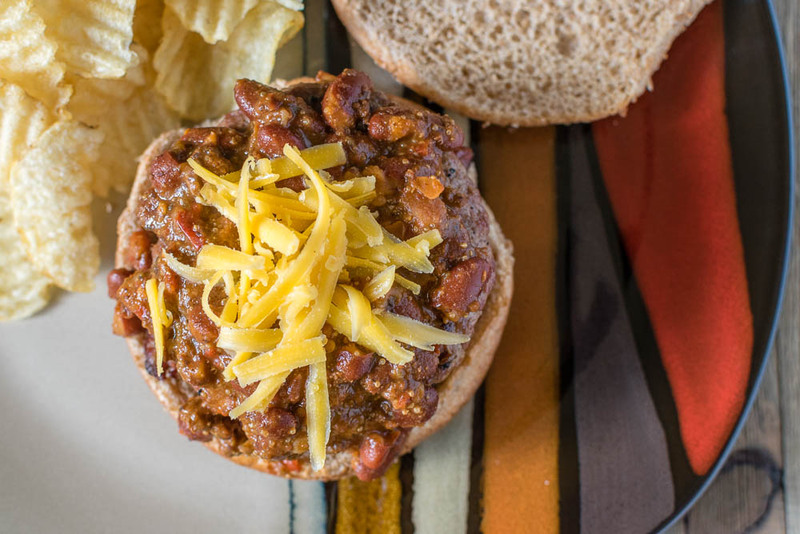 What better to go with a cowboy themed burger than chili! 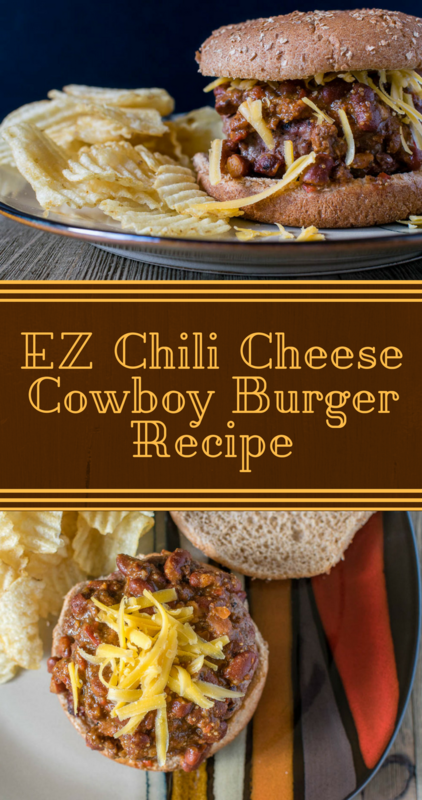 So without further delay, here is our EZ Chili Cheese Cowboy Burger recipe! Let’s start with the Cowboy Burger Patty, this burger goes above just seasoning. It actually has cheese, jalapenos, and bacon in it! It’s hard to beat that, but we couldn’t just settle for a plain burger. As we mentioned yesterday, we love to shop for unique ingredients at Whole Foods Market. While looking for toppings for the Cowboy Burger we happened upon Good Eats Kickin’ Beef and Bean Chili. It was a match made in heaven! Another great thing about the chili is that it contains no artificial ingredients or preservatives. We hope you’ve enjoyed our Burger Bash Partnership with Whole Foods! What grilling recipes would you like to see? Do you have a favorite burger? We’d love to hear your ideas! Leave a comment below or use the hashtag #GeekEats! We can’t wait to hear your suggestions! Happy Grilling! 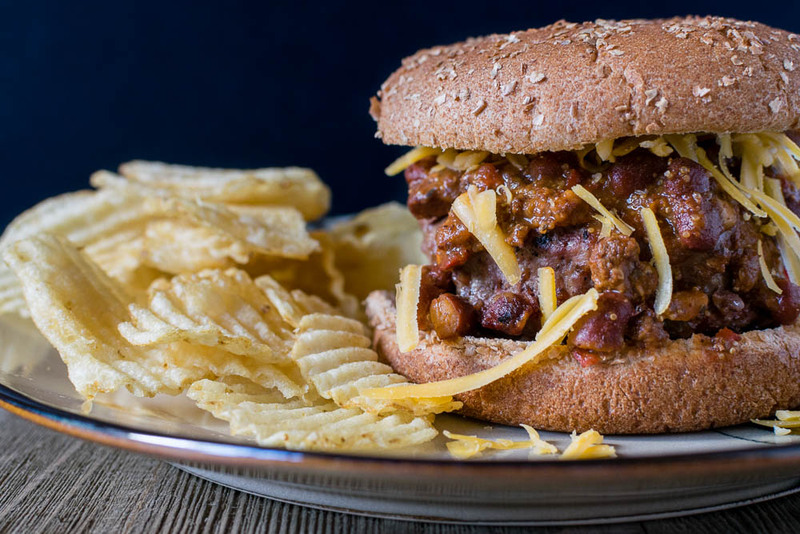 Top burger with chili and then cheese. Oh my gosh, that looks amazing! Will have to try!